"Extremely happy with the quality and design of the Lorenzo. With the recent slimming down of laptops, I find the large briefcase and outdated necessity. The Lorenzo is stylish and perfect for business essentials. As I moved from my old bag to this one I found the items that didn't fit, I'd been carrying daily for no reason." "I love this bag! Perfect size and very stylish. Customer service was very attentive. Thank you!" "This bag is perfect for people like me who need to carry papers and many small items. Most briefcases are much too large for me so I am glad this one was designed around my needs. I also appreciated the personal attention of the sales staff." "WONDERFUL product. 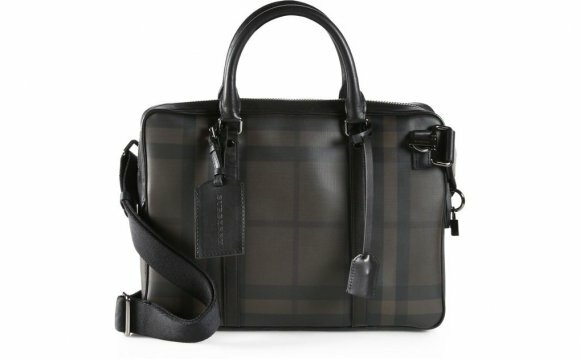 I did a substantial amount of consumer research as I looked for a quality leather briefcase for my boyfriend that was under $500. I live in NY, and you'd be surprised at how difficult it is to find one even here. The Maxwell Scott case didn't disappoint. It looks professional and is of excellent quality - even the hardware is top level and looks great. I had originally debated getting one of the bigger briefcases, but as it turns out there is more than enough room in this for my bf to fit everything he needs on most days. My dad saw what I got him, and now he wants one too. There wasn't even a close second to this bag on the market." "The packaging was amazing - and it has that new car smell!! Just love the two briefcase bags I bought - so practical and so well made... Maxwell Scott has got it covered if you need style, sophistication and need confidence to go into any business meeting. The pricing is definitely under to what you would normally pay - Thank you Maxwell Scott!"